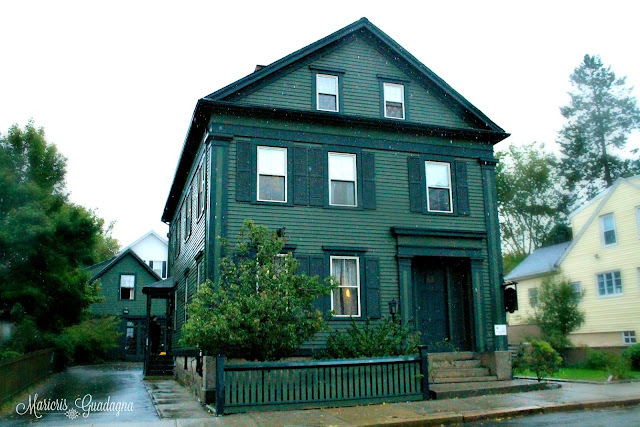 "The thrill of adventure creeps into the very core of your soul by the very notion of finding yourself exploring the inner sanctum of one of America's haunted houses." 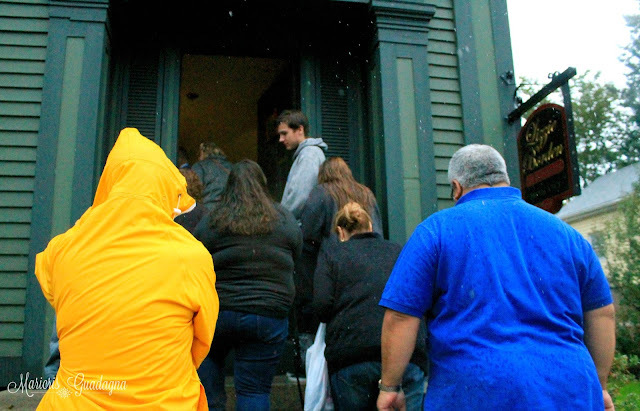 Going on a tour inside a house famous for a significantly violent history on a rainy, dreary day, is almost like a horror movie coming to life. The thrill of adventure creeps into the very core of your soul by the very notion of finding yourself exploring the inner sanctum of one of America's haunted houses. The bad weather was of course, a nice touch to the whole foreboding effect! Creepy meter for the house just went higher. It was very surprising to see that in spite of the foul weather, people flock to the place. We arrived just an hour shy of 3:00 O'clock in the afternoon, which is also the last scheduled tour - as harsh wind blew and pelleted us with cold buckets of rain. We were pretty sure we would be the only ones brave enough to even come out to the place at a time hurricane Matthew is raining down on our parade. But surprisingly, a few more people showed up even after the appointed schedule. 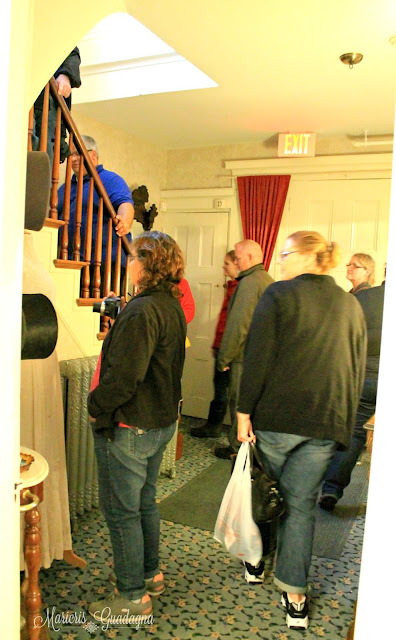 We relatively have a full house and before we knew it, we were off to the front door of the house for the 1 hour tour! Unexpectedly, the fun began pretty quick for me. 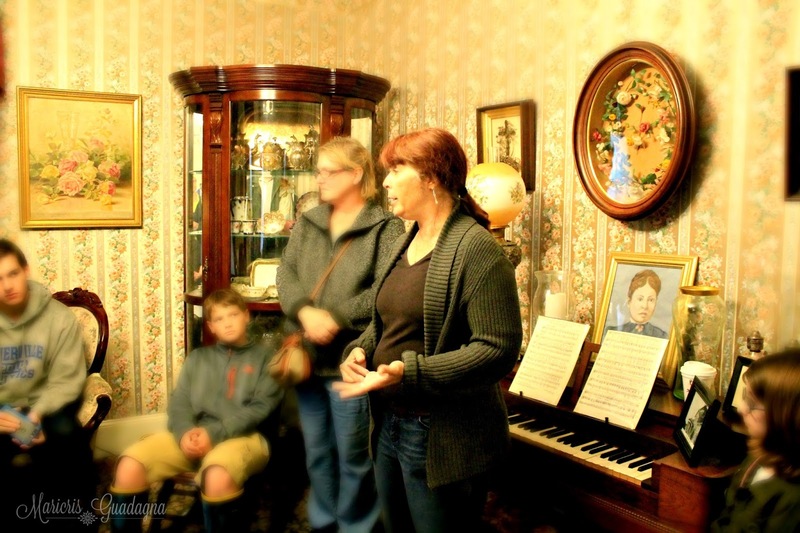 There's no guarantee whether one will experience a paranormal encounter or not during the tour - it's really up to the ghosts-in-residence to make this happen - whenever they see fit or like. But as luck, would have it, I was the unsuspecting "chosen" victim at this particular tour. I guess, I asked for it! Immediately after this shot (no one else dared try this reenactment), I wanted to take a photo of the couch. You should know that my DSLR was working quite fine. 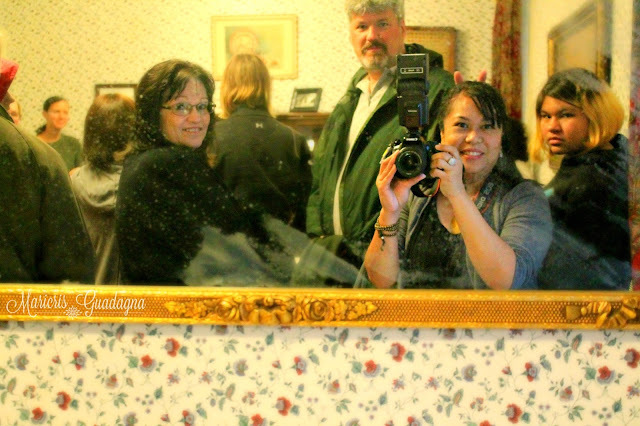 Before this, I was happily photographing the room we just toured next to us and even took pre-tour photos of this room before we went into it. Oddly, as I began to take a shot, my camera decided to quit and won't focus, even after several tries. Dismissing it only as a technical glitch, I had my sister-in-law sit on the couch so I can take a picture of her. Well, guess what? It worked right away! Okay....freaky much. "There was no guarantee whether one will experience a paranormal encounter or not - it's really up to the ghosts-in-residence to make this happen - whenever they see fit or like." 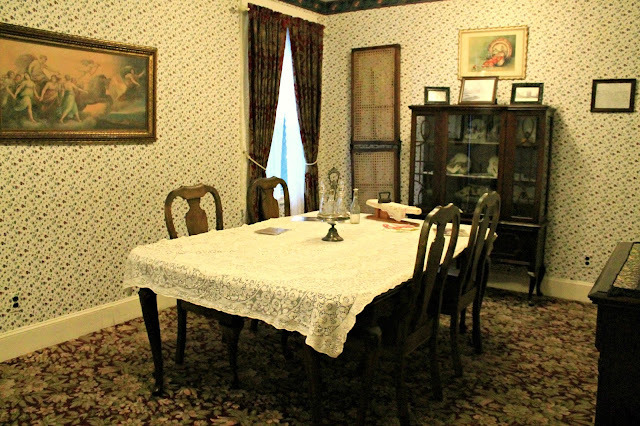 Borden house is wildly known for two rooms that is of historical importance but there are more rooms you need to know about where the caveat is, only the house itself can tell you a more intimate detail, in person. 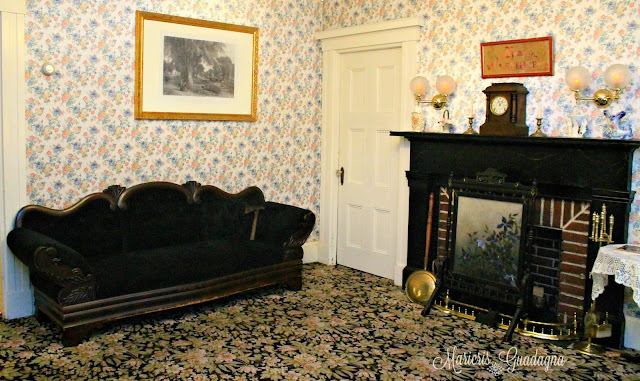 Andrew Borden was axed and murdered in this room as he allegedly lay on the couch for a nap. 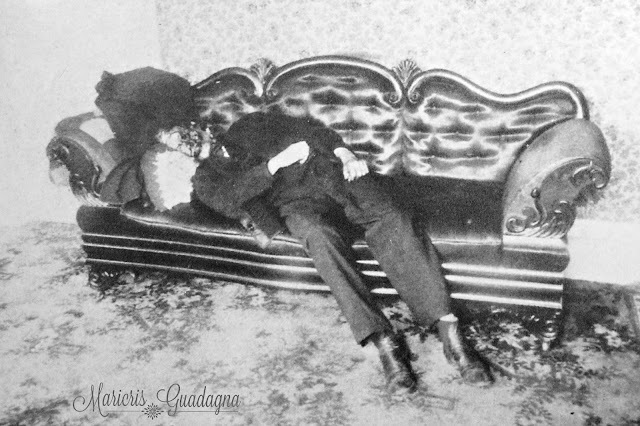 This was the second murder scene but was the first discovered. He, apparently is one of the restless specter that haunts the house these days. Warning: Graphic murder scene photos below. Proceed with caution. 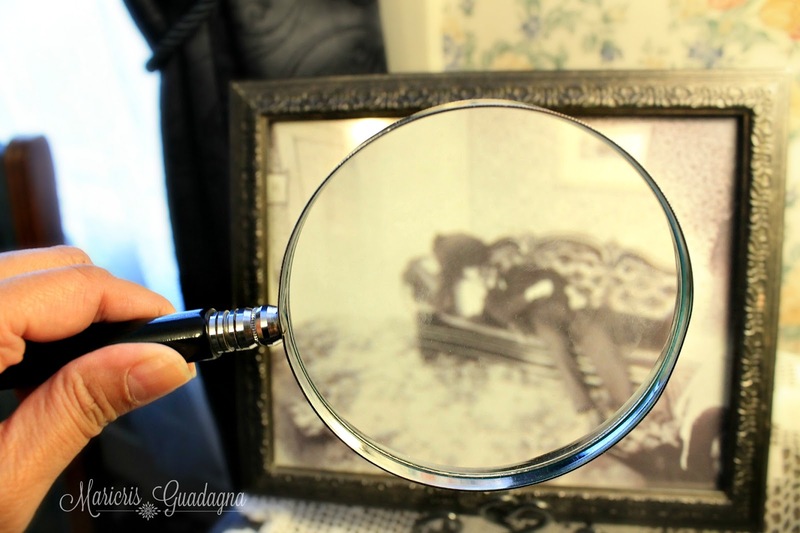 "Though his bedroom is not in any way a murder scene, it seem that the master of the house was not ready to relinquish ownership and lingers on." 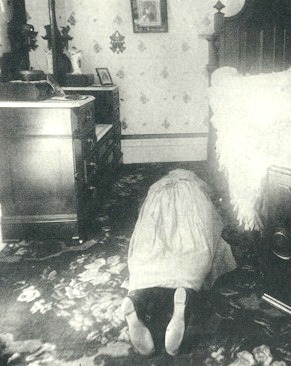 The location of the first murder scene and the most popularly sought-out and booked room in the whole house. 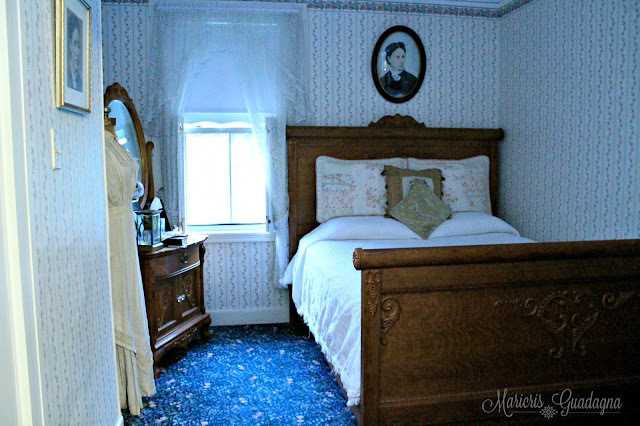 This is where Lizzie Borden's stepmother, Abby Borden, was murdered as she was making the bed where Lizzie's maternal uncle,John V. Morse slept in during an overnight stay. Apparently, the tragic and horrific history of the room made it rather appealing instead of feared by "brave" guests wishing to stay at the now bed and breakfast house. 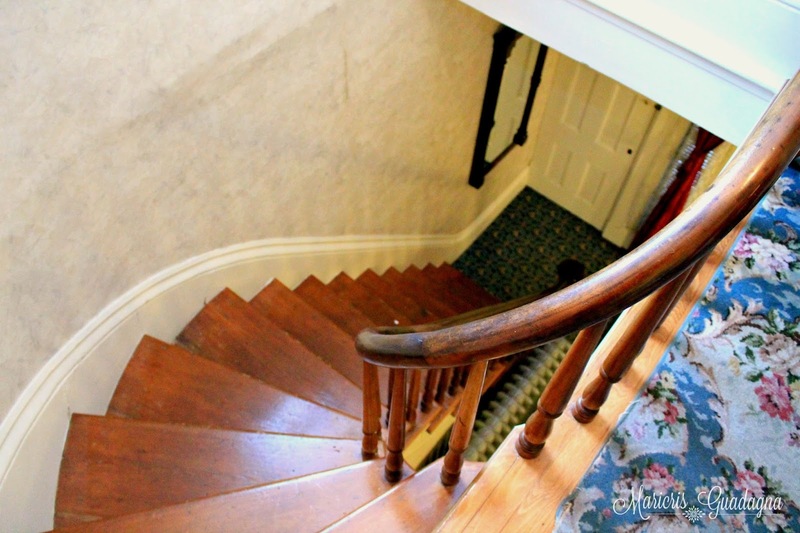 Lizzie's room is immediately to the right from the stairs landing on the second floor. 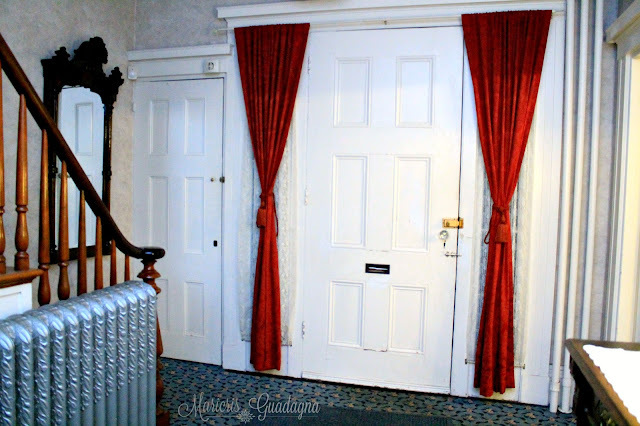 The door next to her bed on the left leads to her father Andrew's bedroom, which was allegedly boarded and nailed shut on Andrew's side during their tenancy. 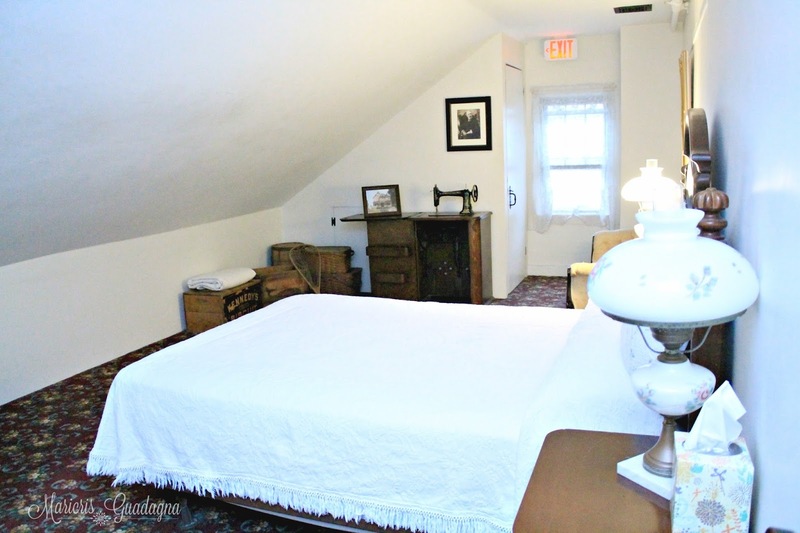 The master bedroom uses the back stairs leading to the kitchen to access and exit the room. 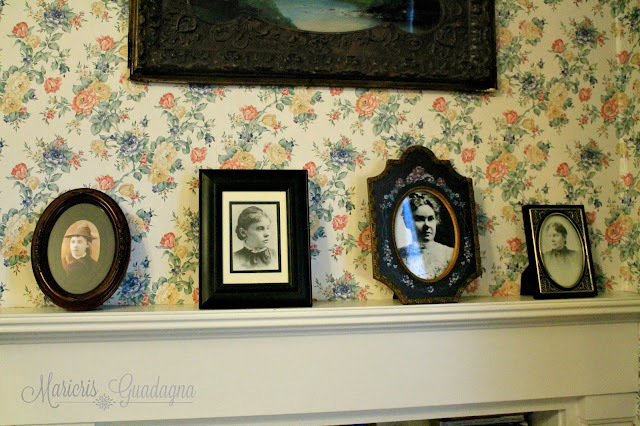 She is Lizzie's older sister and her room is located adjacent to Lizzie's. It's a lot smaller and the only access to it is through Lizzie's room. This room used to be the storage room on the third floor. 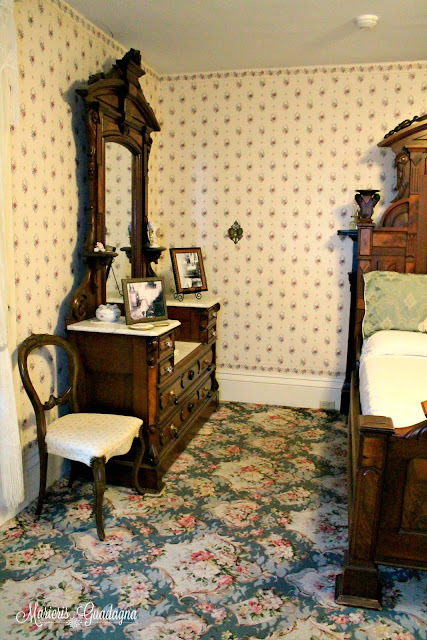 Adjacent to this room is their then Irish maid, Bridget Sullivan's room. There is 3 designated rooms on the third floor. 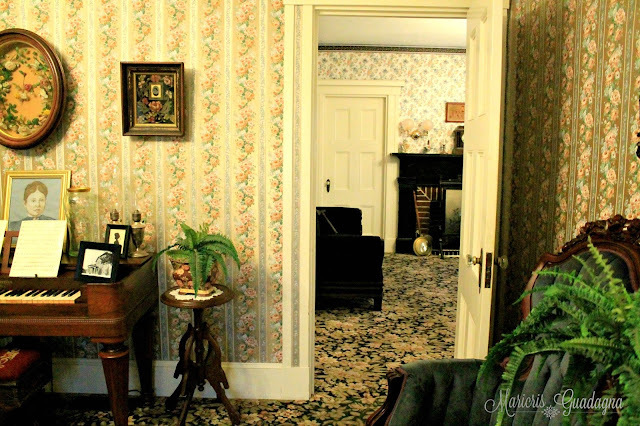 "Borden house is wildly known for two rooms that is of historical importance but there are more rooms you need to know about where the caveat is, only the house itself can tell you a more intimate detail, in person." According to Sue Vickery, our tour guide that day, Andrew's bedroom is the most active in paranormal terms. 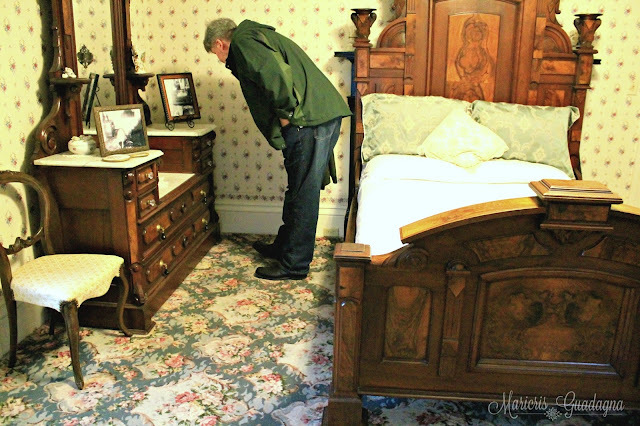 Though his bedroom is not in any way a murder scene, it seem that the master of the house is not ready to relinquish ownership and lingers on. Such indication of his ghostly presence is a swirl of black smoke that hovers inside his room at no given point in time. And of where at one time freaked out guests so bad, they had to flee from the room. 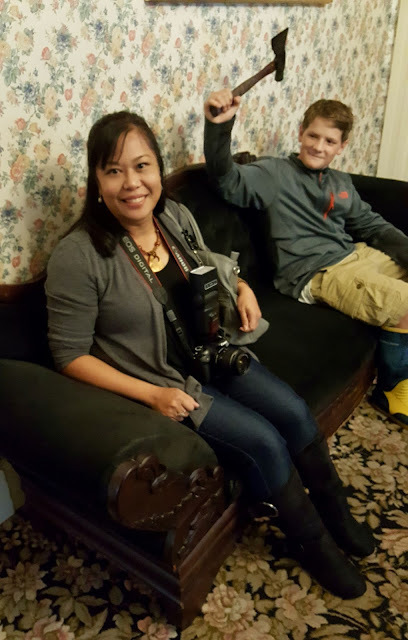 As our tour guide did herself at a few many occasions while tending to the needs of that room. Notable notes. Your questions answered. 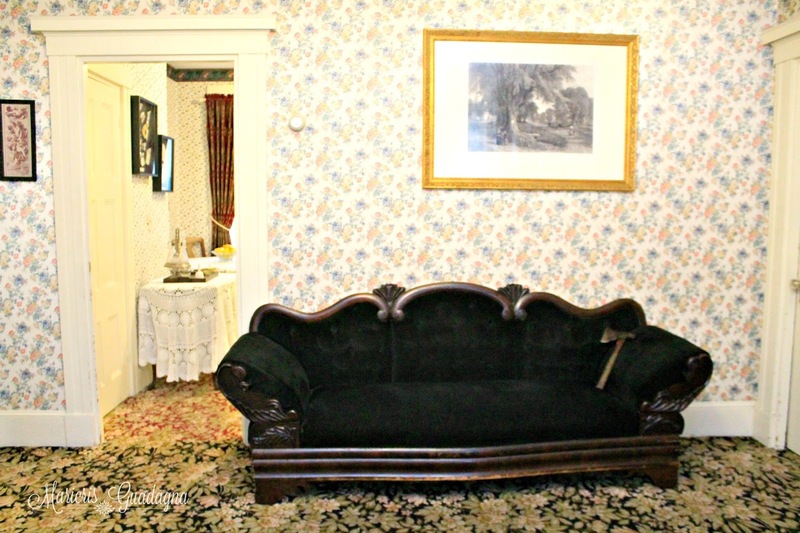 Couch is a replica - Most of the original furniture in the house are gone. The original couch was taken by Emma, reupholstered but was never used. 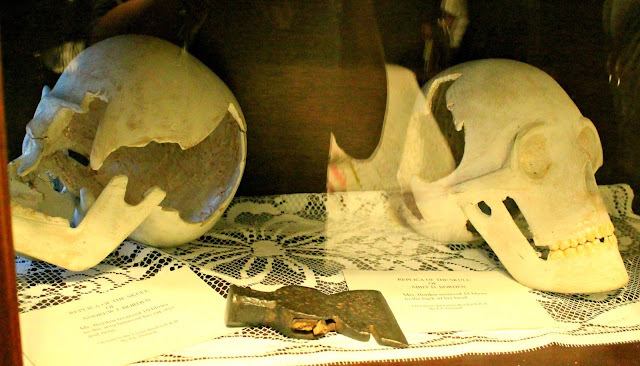 Instead, it was stored but ended up being burnt in a fire. 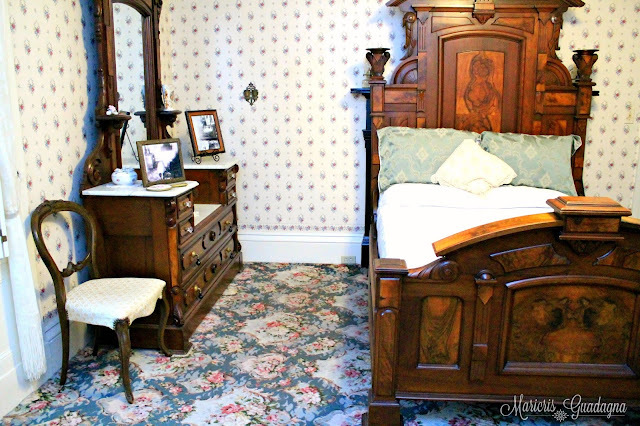 Bed and Dresser not the same - To maintain the same historic look of the John Morse room, similar furniture was put in place to duplicate the same appearance as it was back then. 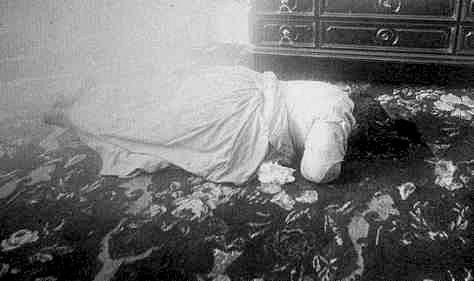 Carpets are replaced - Contrary to popular belief, all the original carpets in each room where murder occurred have been replaced, including wallpapers that were stained and splattered with blood from the murders. Barn is a replica - Original barn fell victim to wear and tear and neglect through the years, leaving it so dilapidated it was torn down. Now the "barn" serves as the gift shop. 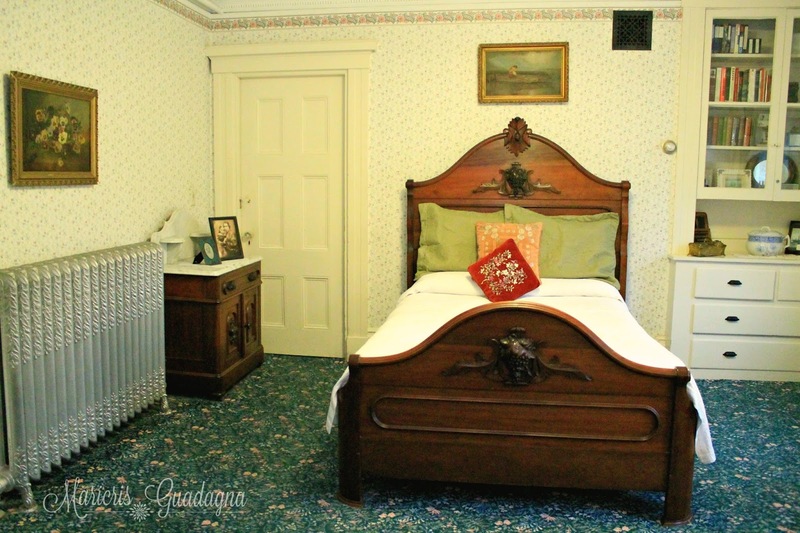 All Rooms Available - You can book a stay in every room in the house. Rent the house - Besides the rooms, you can also rent the entire house for up to 20 people. Ghosts don't run on schedule - Though paranormal activity is a common thing in the house, experiencing one is random. So, don't expect to get an encounter on your first visit. Unless, the ghosts really like you. House stayed the same - Borden house had been preserved in its pristine form through the years. Much of the original exterior and interior appearance stayed pretty much the same as it was in the past. Not much has changed except its modern surroundings. 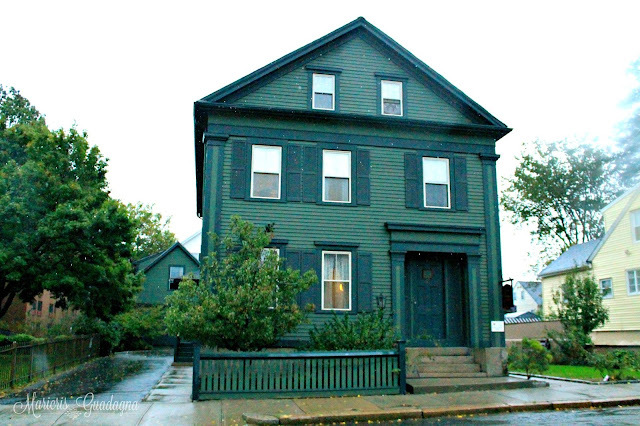 Address changed - As most people are inclined to believe hearsay, the truth is, the house was never moved. It still sits in the same spot as it always have. Only the house number was changed. 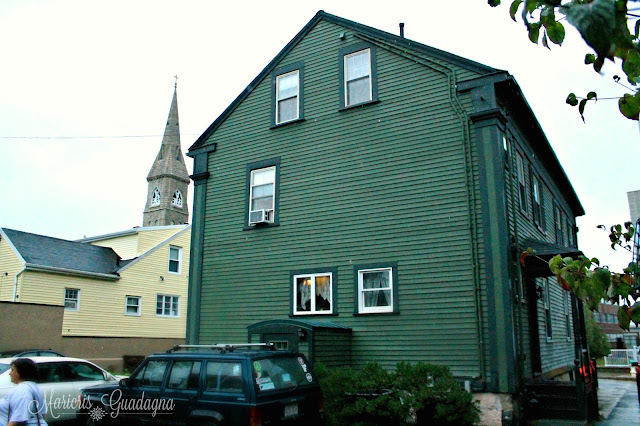 From 92 to 230 and still on Second Street, Fall River, Massachusetts. 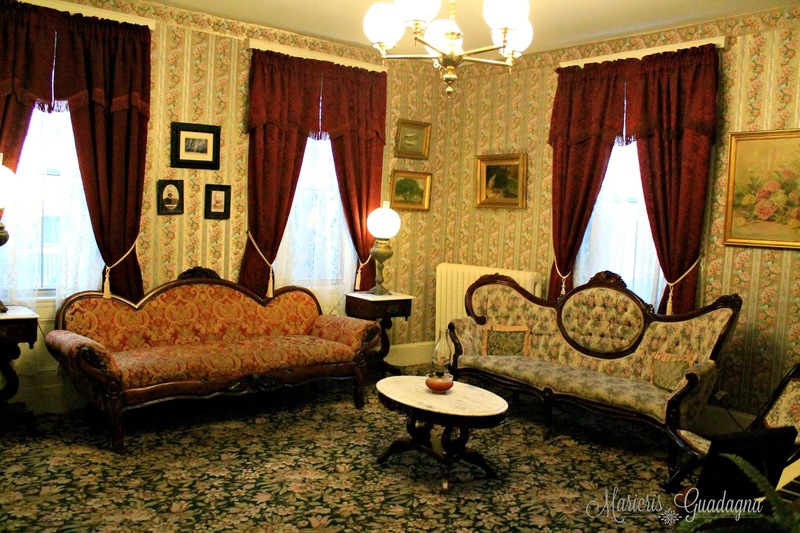 The change occurred on 1896, which led people to believe today that the house was moved to a different location. Not 40 0r 41 whacks - Contrary to the popular ditty, the actual whacks on both are less. 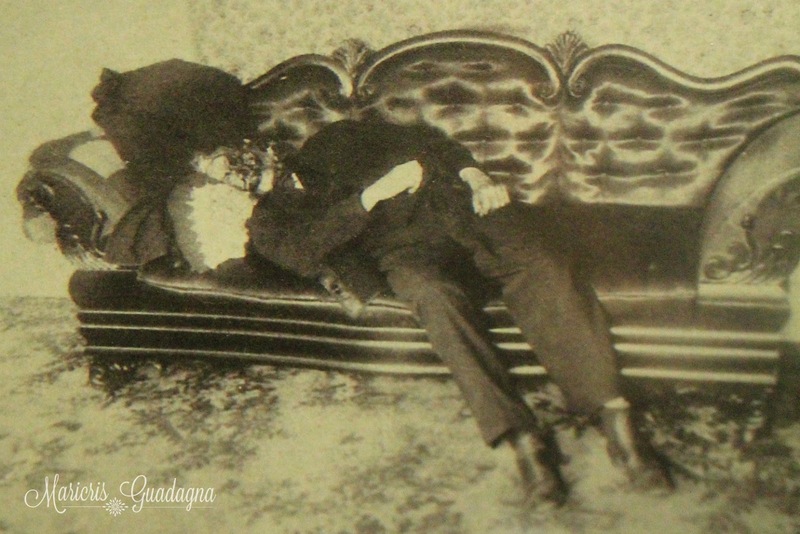 Abby Borden received 19 blows, while her father received 11 blows. Would you dare stay a night in the house? 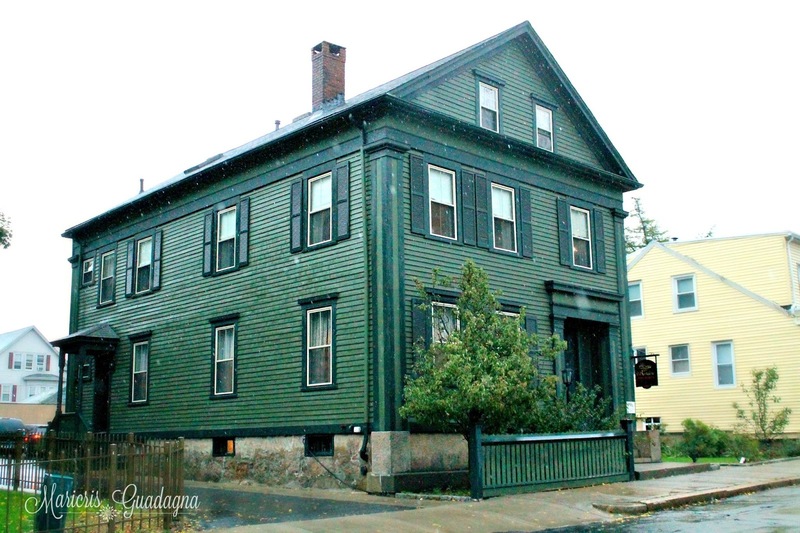 Lizzie Borden house is located in the historic district of Falls River, Massachusetts . For more information check their website at Lizzie Borden Bed and Breakfast and Museum.